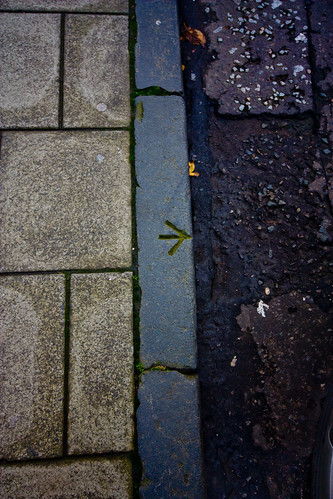 I've recently noticed that some older kerbstones round my way (West End) have letters carved into them - usually what looks like a T or a J, sometimes wee arrows. Does anyone know what these signify? 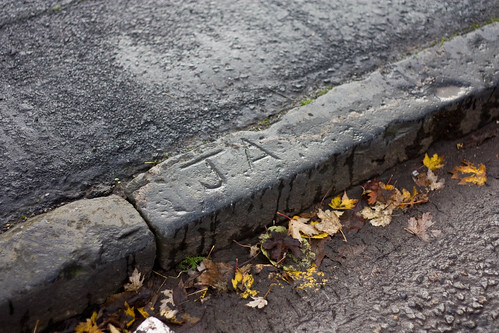 Shazbat wrote: I've recently noticed that some older kerbstones round my way (West End) have letters carved into them - usually what looks like a T or a J, sometimes wee arrows. Does anyone know what these signify? Educated guess - Its some form of indication as to stopcocks fire hydrants or other things now indicated by metal signs at the side of the road. I'm pretty sure they are marks made by the stonemasons who carved the kerbstones, to allow payment by piecework. Letters carved by those who could and symbols by those who couldn't read ?? Vinegar Tom wrote: I'm pretty sure they are marks made by the stonemasons who carved the kerbstones, to allow payment by piecework. Letters carved by those who could and symbols by those who couldn't read ?? Hmm, not sure about that as it's mostly Ts and Js. And most of the stones do not have a mark. These are bench marks used by Surveyors in conjunction with information from the Ordance Survey and are used as a reference to determine heights above mean sea level. My job involves levelling (though not as much as it used to); in the 16 years I've been doing it I've never encountered a benchmark on a kerbstone. I very much doubt that Ordnance Survey would have ever placed benchmarks on kerbstones for the simple reason that the risk of the kerbstone being moved or replaced (e.g. due to road realignment or drainage work) would be too high. Benchmarks were placed on 'permanent' structures, most commonly walls (e.g. buildings; garden walls; bridge parapets). 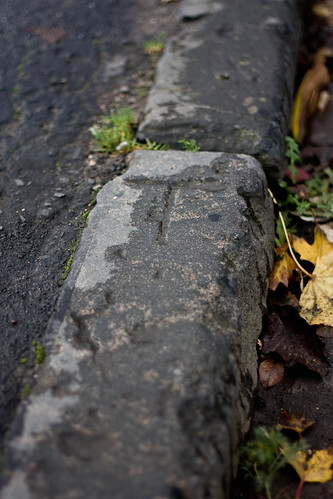 The arrow in the above kerbstone is similar to the most common type (cut mark) of benchmark but it is not one. Cut marks are found on vertical surfaces and are basically an arrow pointing directly upwards with a horizontal line (which is the feature used for levelling) across the top of the arrow head. If you look closely at this GSV image (zoom in to the top of the weed that is located below where the Coke can is sitting) you can see one that is located on the parapet of the Balmore Road bridge over the Queen Street-Anniesland rail line. What you're saying sounds right, Steve, but at the same time Busdriver's point looks pretty sound too. There are at least two threads on HG on this very subject. 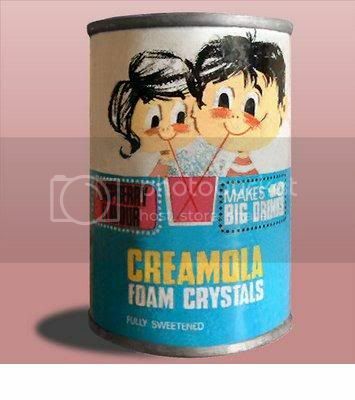 I'll have a go at fishing them out from the vaults tomorrow. At least one of them was to do with your point (where the marks are on walls, e.g. the older Strathclyde U buildings) and at least one of the others to do with kerbstones. There's one easy way to prove or disprove whether it's possible or not. The Ordnance Survey website provides a list of all benchmarks in the UK - all you have to do is enter a 1km OS grid reference and it will produce a list of all BMs within that grid box (e.g. if you were looking for a BM in the vicinity of Glasgow Cross you would search NS5964). If someone on here knows of a location where there is supposedly a BM on a kerbstone then all they have to do is a search on the relevant grid box reference and see if the results include a BM at the kerbstone. Alternatively, anyone with access to up-to-date OS mapping can check to see if a BM is annotated at the kerbstone (it would show the letters 'BM', have a small arrow pointing at a point and have the elevation above Ordnance Datum for that BM). I can upload a map to here if anyone wants to see if there is a benchmark at a particular location. As I said, I've never encountered a BM on a kerbstone during my 16 years of levelling, however I have obviously used only a relatively small number of the BMs in Glasgow during that time so it's possible some do exist (though, as I said, I very much doubt it). You certainly wouldn't find a BM cut mark on the horizontal face of a kerbstone though, as they can only be placed on a vertical surface; other types of BMs (bolts; flush brackets; etc) do exist, however they are relatively uncommon by comparison and I have never used one.